The plants in our Garden form the Living Collection. The Living Collection is central to our mission to inspire, inform and educate the public and the scientific community about California's native flora. 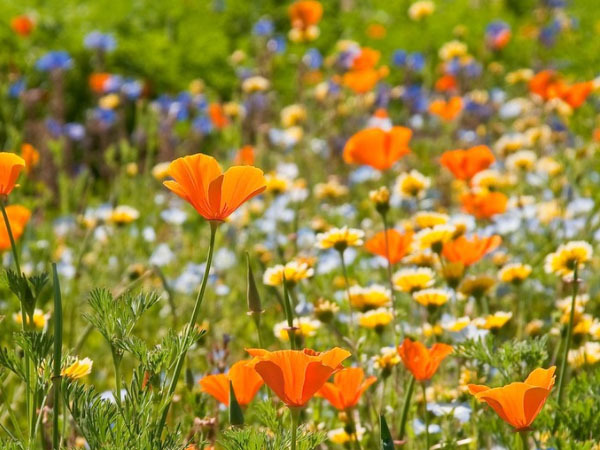 While we strive to grow the largest sample of California native plants possible, we focus on the long-lived perennial plant life of Southern California and Baja. In nature, the distribution of plants rarely coincides with political boundaries, but rather is determined by the interaction of climate, geology and geography. A regional association of plants that share these growing conditions is called a floristic province. Of the 13 North American floristic provinces, four occur in California: Californian, Vancouverian, Sonoran and Great Basin. Californian is defined by its Mediterranean climate. It is the smallest floristic province in North America but has the greatest diversity of plants north of Mexico. It includes such characteristic vegetation as chaparral, coastal sage scrub, oak woodland and grassland. These plants exhibit classic adaptations to California’s hot dry summers and cool wet winters: leaves that are small and leathery, light-colored or drought-deciduous. Vancouverian encompasses the state’s major forests. The California portion of this province is an extension of the Pacific Northwest rainforests and includes mixed evergreen and coniferous forests of pines, madrones and coast and sierran redwoods. Sonoran is characterized by giant cacti (eg. saguaro) and desert scrub vegetation. The state of California includes only the northwestern edge of this extensive desert province. 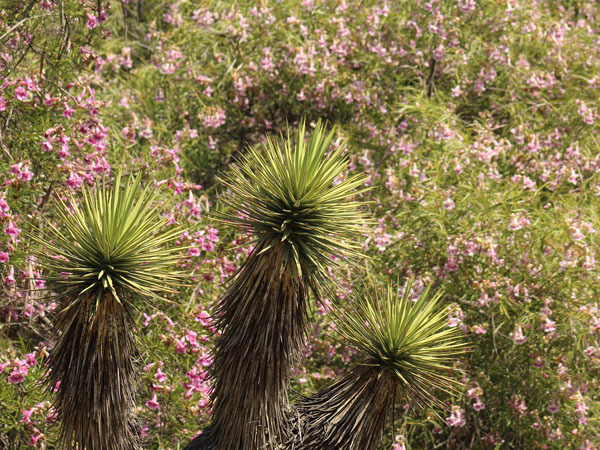 Plant communities in this area include Joshua tree woodland, California fan palm oasis and creosote bush scrub. Great Basin is dominated by the vastness of sagebrush scrub vegetation - the sagebrush ocean. The majority of this high-elevation desert lies to the east of California in the rain shadow of the Cascade and Sierra Nevada ranges. We are a member of the North American Plant Collections Consortium (NAPCC) Multi-Institutional Oak Collection. This collaborative venture composed of 20 botanic gardens from across North America is dedicated to preserving and displaying the oaks of the world. 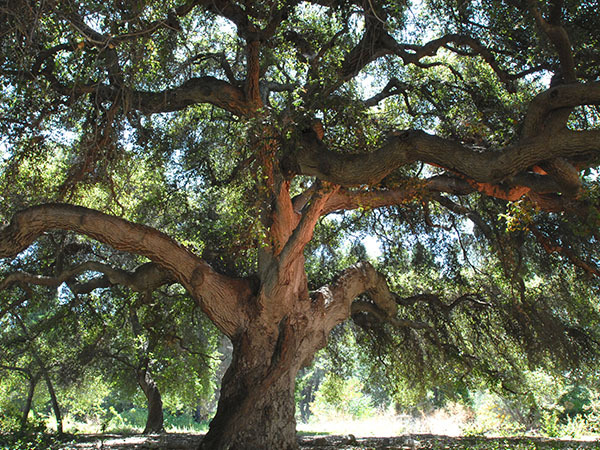 For our part, we are working to include specimens of every oak native to California in our collection.